MP4 is a popular and commonly used video format that is compatible with a large number of devices. Though MP4 is supported by Apple devices but many times these files cannot be played on iPhone, iPad, and Mac due to the incompatibility of video codecs by these devices. Thus converting MP4 to Apple compatible format like M4V is the most feasible solution. Developed by Apple, M4V is a video container file format which may also be protected by DRM copy protection. The M4V format is used for encoding video files and can be played on an array of devices like Apple Quick Time Player, KM-Player, VLC Media Player and others. To aid you in converting MP4 to M4V formats, a number of professional software, as well as online tools, is available. So if you are stuck on How to Convert MP4 to M4V Online, a roundup of the best Online MP4 to M4V Converter and software is listed below. For users who have limited files and not looking for additional features, online converters can be a good choice. But for more professional use where multiple files need to be converted at fast speed without quality loss, good software is the best alternative. 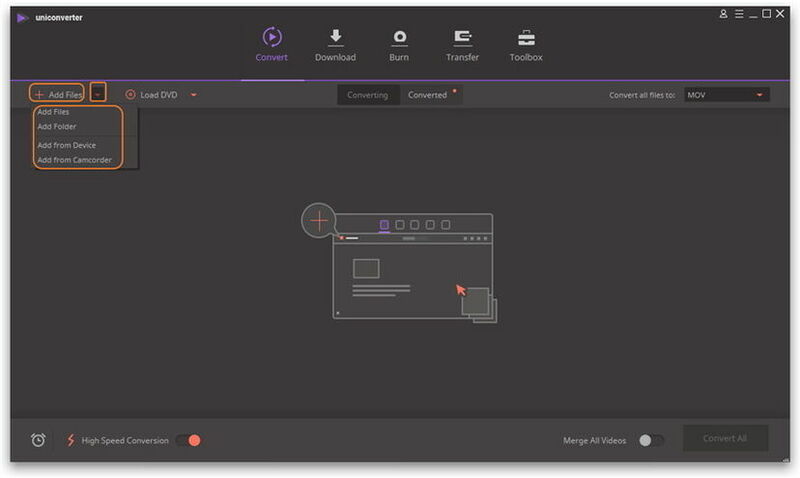 One such decent software is UniConverter (originally Wondershare Video Converter Ultimate) from Wondershare that features clean and simple interface with the host of additional features. Moreover, unlike online tools, software and program are not dependent on your internet connection. 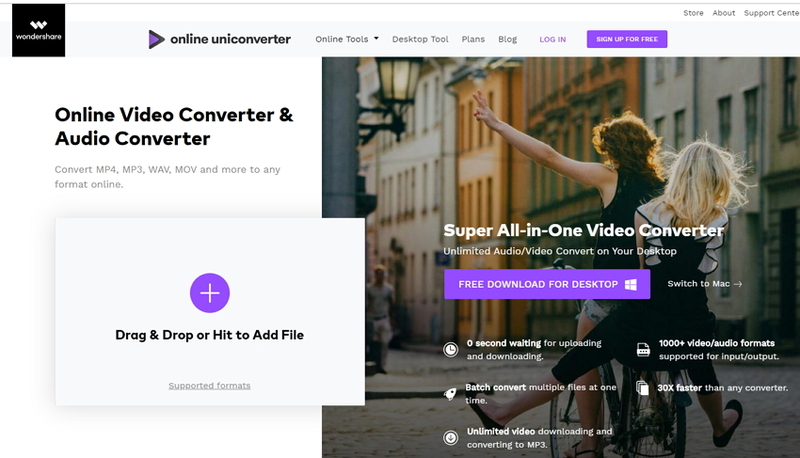 So no matter wherever you are, convert MP4 to M4V as well as other files within no time using UniConverter (originally Wondershare Video Converter Ultimate). MP4 file formats can be quickly converted to M4V format with just a few steps. Multiple MP4 files can be converted to M4V or any other desired format as the software support batch conversion. Allows converting files to format that are compatible with specific devices like Apple, Android, Sony PSP, Xbox, Gear 360, and many others. 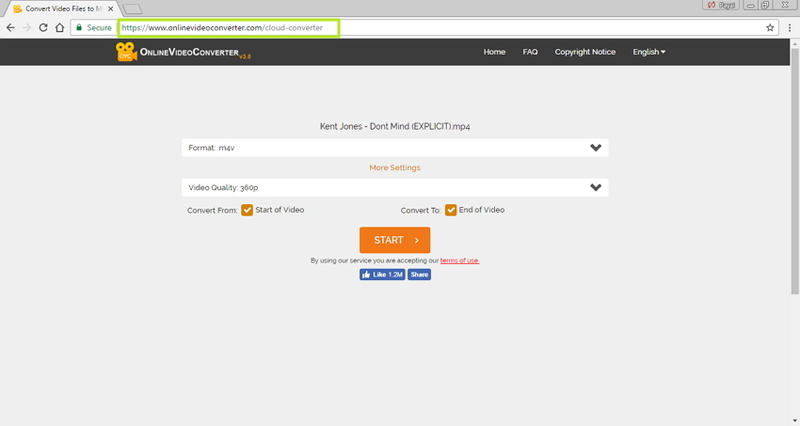 Allows downloading and recording videos from YouTube and other popular sites and directly converting them to the desired format. Supports recording online streaming of videos from popular sites like Hulu, Netflix, and others. Facilitates recording skype calls as well. Works as handy editing tools with features like adding watermark, special effects, metadata, and others. Support copying and converting home DVD, editing DVD files and burning DVD discs. Allows streaming videos to TV and works like a media server. The DLNA support of the software allows you to access all your computer files on the different platforms like TV, tablet, phone, and others. Step 1 Launch this MP4 to M4V converter and load MP4 file. 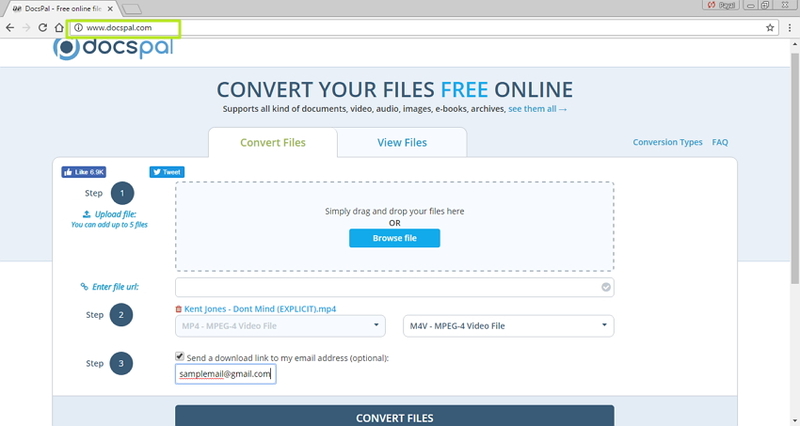 Launch the converter on your PC/Mac and drag and drop the desired MP4 file. Alternatively, you can also click Add Files to add the desired file. Step 2 Select M4V as the output format. 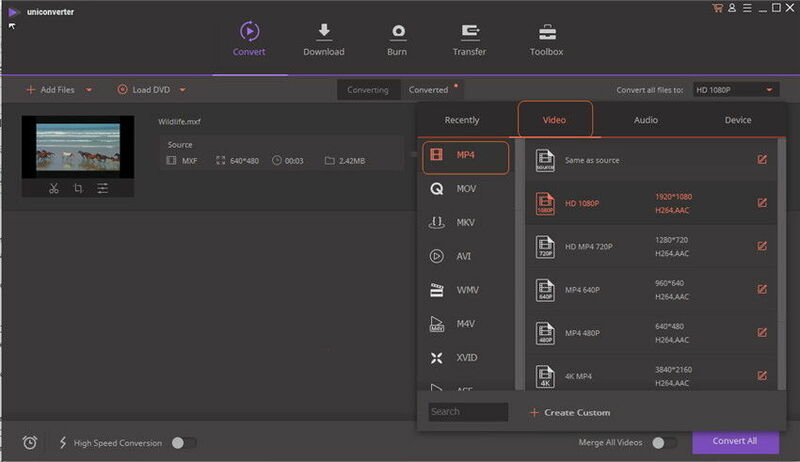 Once the MP4 file is added to the software interface, select M4V from the Video category by clicking the inverted triangle beside the right-hand Convert all files to. Step 3 Convert MP4 to M4V. Finally, hit Convert or Convert All button to start the conversion process. Therefor, the selected MP4 file will be successfully converted to M4V file format. There is a decent list of online converters that allows converting MP4 files to M4V formats. The majority of these converters are available for free and does not require any installation or registration process. Supporting popular formats, these converters are a good choice for those who are looking for a simple conversion process for few files without any additional features of specifications. This is one of the best MP4 to M4V online converters. The program supports an array of video/audio file formats for conversion including MP4 to M4V. Using the converter you simply need to add the desired file and select the output format for the conversion process to initiate. The program interface is clean and simple and the converted file can be downloaded directly or saved to Dropbox. You're allowed to upload the file to convert no more than 100MB. 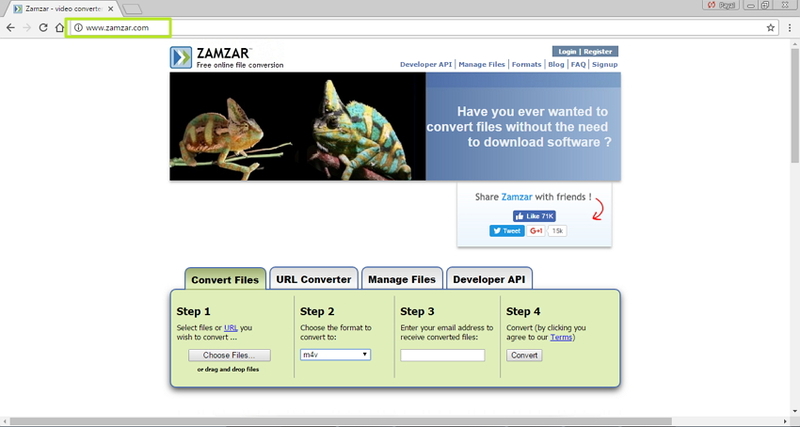 Zamzar is a known online converter that allows MP4 to M4V conversion in addition to other popular video, audio, images, document, and other files. The converter is free to use, have simple interface, and quickly converts one file to the other format. While using the program, you simply need to add the desired file , select output format, and enter the email address. Once the file is converted, the download link is sent to the mentioned email id. Free Online Video Converter from Apowersoft is another decent program that allows quick conversion of MP4 to M4 format in addition to other files. Available for Windows and Mac system, the interface of the software is simple and clean that makes the conversion process easy. The converter is free to use and its editing features allow customizing and editing the files before the conversion process. While using the program for the first time, it will ask you to download its launcher. 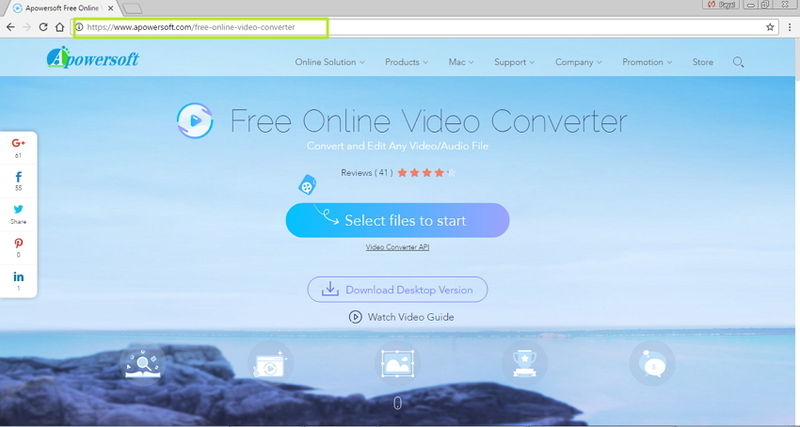 Online video converter allows converting between popular video and audio files present on your PC as well as cloud storage. The program is free to use and is compatible with working with all web browsers. The converter does not need any software installation and there is no restriction to the number of files converted. Using the program, you can set the video quality of the output file and also convert only a part of the video is needed. Docspal is a free online converter that allows converting a variety of documents including video, audio, ebooks, images, archives, and others. The program allows uploading up to 5 files at a time which can be added through PC by browsing or simply dragging and dropping. File URL can also be added to the program interface. Once the desired file is added, you need to select the output file format for the conversion process to start. Docspal also has an option where you can get the download link of the converted file to your mail id. Both MP4 and M4V are popular file formats that shares lots of similarities. Thus to make your selection task easy, below given is a comparison table of both the formats. Depending upon your requirements and specifications, you can opt for one of the formats. Thus it can be concluded that free online converters are good option when there are few number of files for conversion. If you have large number of files that needs to be converted with additional features then a professional software like UniConverter (originally Wondershare Video Converter Ultimate) from Wondershare will prove to be an apt choice.